In a bowl, whisk the vinegar, marmalade, water, honey, paprika and shallot. Slowly whisk in the oil. Stir in the parsley and season with salt and pepper. Two Tablespoons 108 cal, 9 gm fat, 1 gm sat fat, 7 gm carb, 0 gm fiber. 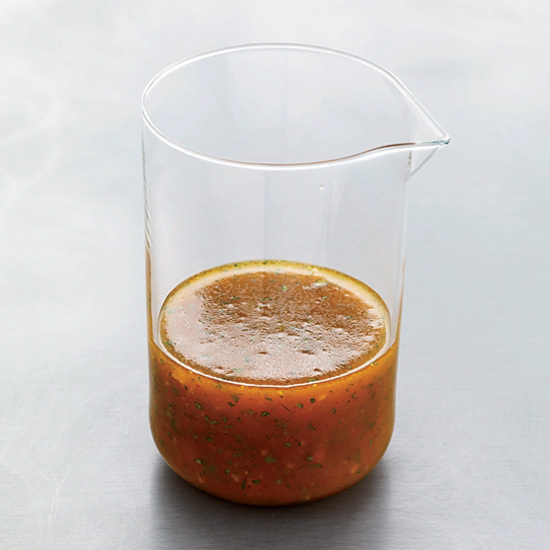 Use as a marinade for lean steak or pork or drizzle over grain salads.